Cataracts develop as a result of many factors in old age. Most commonly it is because of long standing diabetes. There is deposition of crystalline substances on the lens within the orbit, which gradually causes your lens to harden and lose its flexibility, which eventually causes vision to deteriorate. Therefore cataract surgery involves the removal of this hardened crystalline lens, which is then replaced with an Artificial Intraocular Lens (IOL). Although you will discuss the procedure in detail with your doctor and they will explain the entire process to you, it is always good to have some information with you beforehand, so that you know that right questions to ask them. There are different types of IOL’s which are being used in modern day cataract surgery, where some are considered to be standard IOL’s and some to be premium IOL’s. And you should have an idea about all of them in order to help you decide which one is best suited for you, along with the advice of your surgeon. As the name suggests this type of lens helps you to look at a range of distances, by allowing your eye to focus on objects which are up close or at a distance. The technology which is used in the lens, helps your brain to work out at what distance the object is and then focus on it. 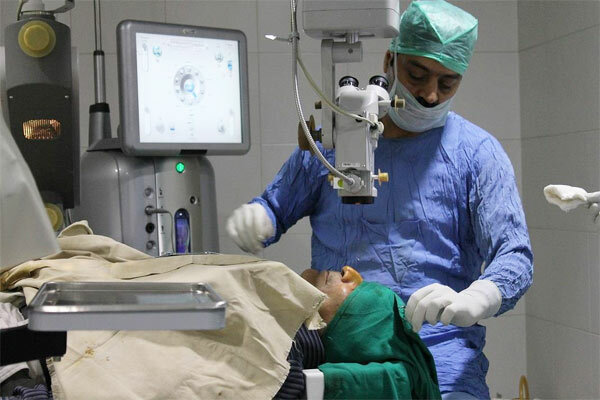 Most people who undergo cataract surgery with a multifocal lens will not need to wear glasses or use contact lenses, following it, because the lens can now adjust the focus as necessary. Just like the multifocal lens, the accommodative lens also helps you to focus on range of distances, but the mechanism of function is different. The accommodative lens does this by changing its shape within the eye, when you want to focus on objects at different lengths. When your eye moves, the lens automatically changes its shape. This type of lens is sued to correct a visual problem known as astigmatism, which is problem in the spherical curvature of your eye. Therefore it works almost like an accommodative lens, changing its shape to correct the refractive error that is caused by defective eye shape. Which is the most basic IOL that is there on offer. And it helps you to focus clearly on objects at one distance only, wither up close or at distance. What happens on most occasions is that people opt to have lenses which focuses on two differentdistances on either eye, so that they can clearly objects at a distance with one eye, and objects up close with the other eye. This type of vision is known as monovision, and means that you have to wear reading glasses at all times. All IOL’s other than the basic monofocal ones are considered premium IOL’s, and this means that your insurance will not cover for it. And the decision on choosing what type of IOL you need depends on what your expectations are from the cataract surgery. Copyright © 2018 bajajeyecarecentre.com. All Rights Reserved.